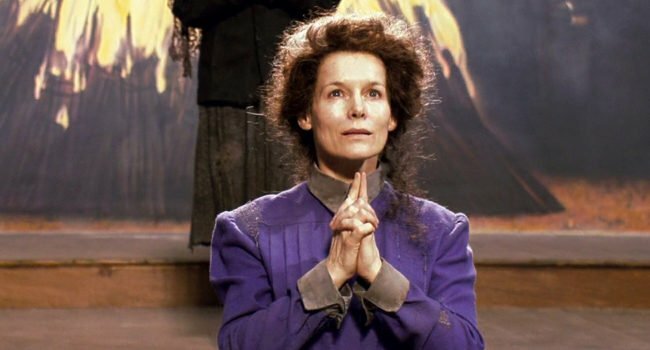 As the leader of The Brethren and main antagonist in the movie version of Silent Hill, Christabella (Alice Krige) seeks to purify her flock of Silent Hill residents by sacrificing those she deems impure. Unfortunately, one of those she sought to purify was Alessa, a young child who was saved moments before her death but so enraged that her soul split into two, birthing a Dark Alessa. Christabella’s coven now exists in an Otherworld of fog and darkness filled with hideous creatures created by the imagination of Dark Alessa, yet Christabella continues to preach her beliefs in the church. She dresses in a conservative blue dress and sports a heap of brown hair.